Bryan, TX, September 30, 2017— Dr. Kelly McDonald, a family physician at CHI St. Joseph Health Primary Care Brenham, has earned the Degree of Fellow of the American Academy of Family Physicians (AAFP). AAFP is a national medical association representing nearly 129,000 family physicians, residents and medical students. Dr. McDonald received her degree Sept. 15 during a convocation held in conjunction with the AAFP’s annual meeting in San Antonio. Established in 1971, the AAF P Degree of Fellow recognizes family physicians who have distinguished themselves through service to family medicine and ongoing professional development. In receiving this degree, Dr. McDonald joins more than 14,000 Fellows nationwide, who are now entitled to use the honorary designation FAAFP. To earn this distinction, Dr. McDonald has held membership in AAFP for more than six years, completed extensive continuing medical education, participated in public service programs outside her medical practice, conducted original research and served as a teacher in family medicine. Dr. McDonald has worked for CHI St. Joseph Health for three years. Raised in Nacogdoches, she received her undergraduate degree from Texas A&M University in 1996 and her medical degree at Baylor College of Medicine. Prior to joining CHI St. Joseph Health, Dr. McDonald served as the Medical Officer/Physician for a brigade in the 82nd Airborne near Fallujah, Iraq. 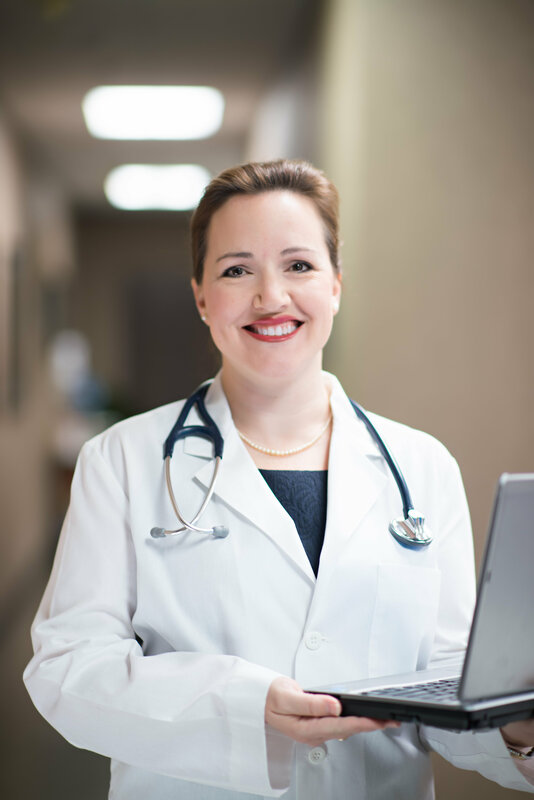 About the American Academy of Family Physicians: Founded in 1947, the AAFP represents nearly 129,000 physicians and medical students nationwide and is the only medical society devoted solely to primary care. About CHI St. Joseph Health Primary Care: Across more than one dozen clinics situated throughout the Brazos Valley, CHI St. Joseph Health Primary Care offers convenient office hours and same-day appointments for patients and their families. Primary Care is an integral part of CHI St. Joseph Health’s continually growing medical group, which includes specialties in major disciplines like Cardiology, ENT, Orthopedics, Neurosurgery, Pediatrics and more. For more information, visit http://www.chistjoseph.org/services/primary-care. The National Center for Quality Assurance has recognized CHI St. Joseph Health Primary Care clinics at Barron Road, West Villa Maria and Austin’s Colony as Level 3 PCMHs, for use of evidence-based, patient-centered processes focused on highly-coordinated care. Level 3 is the highest-level recognition a PCMH can achieve, demonstrating strong or improved performance in a combination of triple aim measures through participation in a NCQA-approved regional collaborative or national measurement initiative. The NCQA PCMH is a model of primary care that combines teamwork and information technology to improve care and patients’ experience of care and to reduce costs. Medical homes foster ongoing partnerships between patients and their personal clinicians. Research shows medical homes can lead to higher quality and lower costs and can improve patient and provider reported experiences of care. To earn recognition, which is valid for three years, the Barron Road, West Villa Maria and Austin’s Colony clinics demonstrated the ability to meet the program’s key elements. NCQA standards are aligned with the joint principles of the PCMH, established with the American College of Physicians, the American Academy of Family Physicians, the American Academy of Pediatrics and the American Osteopathic Association. About the National Center for Quality Assurance: NCQA is a private, non-profit organization that accredits and certifies a wide range of health care organizations and recognizes clinicians and practices in key areas of performance.